Brazil, officially the Federative Republic of Brazil, is the largest country in South America and the only Portuguese-speaking country on that continent. It is the fifth largest country by geographical area, occupying nearly half of South America and the fifth most populous country in the world. Natal is the capital city of Rio Grande do Norte, a northeastern state in Brazil. The city has a total population of 806,203. Natal is considered by IPEA the safest capital city in the country. 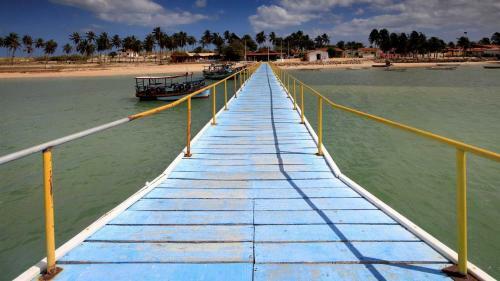 Accessible only by boat, Galinhos is located on a peninsula and is home to roughly 2,000 residents. 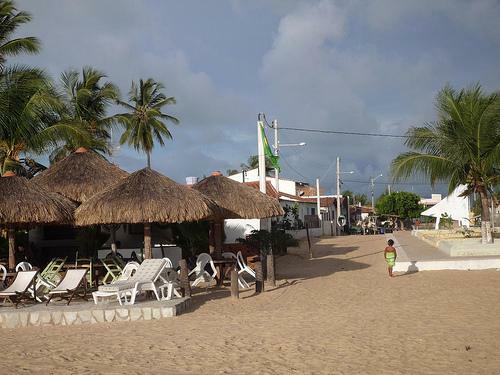 Galinhos is a small town 160km northeast of Natal. 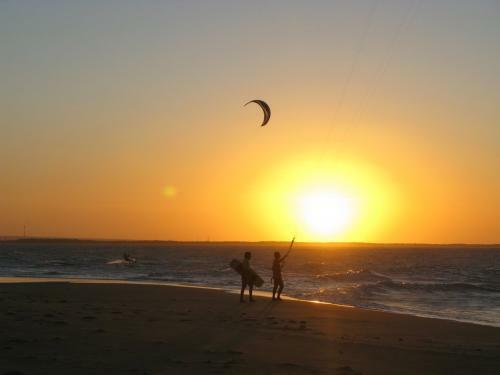 The best months to go to Natal and kite in Galinhos are November-March. There are pousadas (bed and breakfast) and hotels in town. 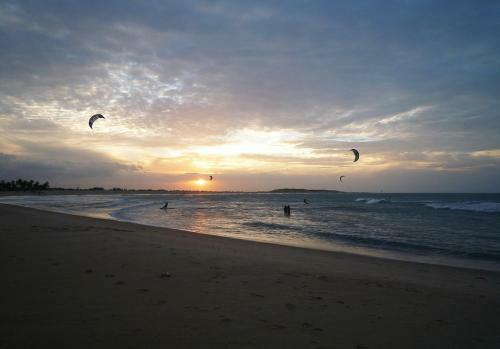 Natal has a typical tropical climate, with warm to hot temperatures and high relative humidity all throughout the year. However, these conditions are relieved by a near absence of extreme temperatures and pleasant trade winds blowing from the ocean. January is the warmest month, with mean maxima of 31°C and minima of 24°C, while July is the coolest with mean maxima of 27°C and minima of 22°C. This big sandy beach offers enough space for save launching and landing. The water is flat to choppy wit small waves. The watertemperature is tropical (24°C), so you don't need a wetsuit. The best and most windiest months are November-March. During this period termal and trade winds hit this spot. The wind blows from the Northeast to East which is side and sideonshore. All facilities you need are available. Rooms, a school and a shop. Also toilets, showers, food and a parking. There are enough other spots in the area, like Galinhos Lighthouse 1,3km more east. The nearest town is Macau. The nearest big city and airport is Natal.